If you are looking for information on the Christian Companion Senior Care franchise business opportunity, Christian Companion Senior Care franchises or Christian Companion Senior Care franchising, then you have come to the right place. Introducing the Nation's First Christian-based In-home Senior Care Franchise! 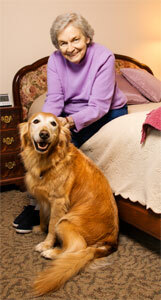 Christian Companion Senior Care began in 2002 as a intriguing idea in the mind of founder and president Gary A. Brown. He thought, since seniors frequently struggle with loneliness, family dysfunction, regrets and depression, doesn't it make sense to provide care through a caregiver capable of providing both practical care and spiritual encouragement? Jesus' words, "man does not live by bread alone," resonate for seniors who live in clean homes, have enough to eat yet are lonely and have limited hope for the future. In addition, because in-home caregiving involves inviting a complete stranger into the most personal aspects of life, Brown felt that carefully screening caregivers about their values, beliefs and Christian commitment would provide an additional safety factor that many seniors would appreciate. In early 2004, Brown and his business partner, Chris Kincaid, requested legal research from Littler Mendelson, one of the foremost law firms specializing in employment law, examining the legality of hiring specifically Christian caregivers. By early 2007, Christian Companion Senior Care was ready to launch their second agency location in Tulsa, Oklahoma. On May 1, 2007, the Tulsa location opened under exceptional leadership. As the number of clients grew, it became apparent that Christian Companion Senior Care had developed a business model that offered uniquely beneficial living assistance. 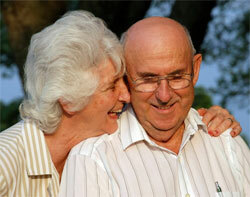 Franchise Opportunity - Why Christian Companion Senior Care? Proven concept. Christian Companion Senior Care locations in Oklahoma City and Tulsa have proven that many seniors prefer caregivers trained to provide both practical daily care and spiritual encouragement. Often we are told that when given the choice, seniors naturally choose Christian Companion over our competitors because they want a caregiver who shares their faith and values. Unique mission. Because the mission of Christian Companion Senior Care involves the provision of both practical care and spiritual encouragement, we are legally structured to hire Christian caregivers. None of our competitors can hire on this basis and this key foundational advantage enables us to provide care that touches the heart and brings joy to the spirit. Exceptional caregivers. Hiring caregivers who want to serve the Lord by serving others has resulted in an unsurpassed reputation for caregiving excellence. Our caregivers tend to go the extra mile for a client, often doing far more than a caregiver only motivated by a paycheck. Caregiver excellence always shows up on the bottom line ... and in the gratitude of our clients for the peace of mind we provide. Expensive product inventory - this is a services business. Prior home care experience or a medical background - just a sincere desire to make a positive impact on those in your community and the willingness to make it happen. Comprehensive Training. Christian Companion Senior Care believes that only exceptional training will result in exceptional performance. Our comprehensive two-phase training program begins in Phase One with one week of rigorous instruction at our corporate office, providing you with in-depth administrative, operational, sales and marketing training from a professional staff that has the real world experience necessary to prepare you with the knowledge and understanding you need to hit the ground running. Phase two of your training is provided at your location two to three weeks after you begin operations. Our franchise development coaches will give you the expert guidance necessary to ensure that your system is performing efficiently as your agency begins to make an impact on your local community. Complete Operations Manual. Our confidential Operations Manual, available exclusively to Christian Companion Senior Care franchisees, is a complete reference guide to every aspect of agency operations. Sections include recruiting and hiring caregivers, accounting procedures, administration, purchasing, client intake, caregiver orientation, community rep marketing and much, much more. You'll also receive the manual on a convenient, searchable CD with a complete set of templatized administrative and operational forms ready for reproduction. Web Presence. Many of your clients and most of their children will use the web both to find senior care and then to confirm their decision. An effective web presence is not a option, it is a basic essential. Our web development expert will ensure that your site directly benefits from the linkage to our national site. The stunning look and feel of your site will position you to provide potential clients with the confidence they need to make your agency their choice for quality care. Information rich, visually appealing and user friendly, we know how to make a website work for you. Office Management Software. Christian Companion Senior Care franchisees use a comprehensive management software system that incorporates office administration, accounting, scheduling, client billing, client and caregiver information, with an exceptional marketing database. This relational database that enables franchisees to efficiently track critical information with data analysis that will assist you in refining operations. The database makes management of critical deadlines and expirations effortless as it alerts you when actions need to be taken. Client, caregiver, staff and referral source information is always at your fingertips. Your Community Representative will appreciate the marketing and referral source reports that enable the Representative to determine and focus on the marketing sources that maximize profitability. Advertising and Marketing. When becoming a Christian Companion Senior Care franchise owner, you'll have the confidence in knowing Christian Companion is committed to assisting with your advertising and marketing needs by an experienced in-house communications department as well as a strategic partnership with The DeMoss Group, the nation's largest provider of Christian based communications strategies. With Christian Companion Senior Care supporting each of our franchisees public relations, marketing and advertising needs, starting and maintaining a Christian Companion franchise will be rewarding. Ongoing Service and Support. When you join the Christian Companion Senior Care family of franchisees, you'll have access to ongoing support that's as close as your cell phone. In addition to the support options above, our experienced staff is available to answer your questions and resolve unique challenges. Periodically, we'll schedule visits at your location to provide personal, on-site support and best practices implementation.